“LEARNING IS AT ITS PEAK WHEN THE PROCESS IS HAPPY, ENGAGING, & FULL OF DISCOVERY”. MIRACLE Pre-Primary School is for children between ages of 2.5 to 6 designed for families who wish to share in early education of their young children. MIRACLE offer parents the rare opportunity to become an integral part of their Childs crucial early learning experience. The school provides a Safe, Warm, Nurturing Environment for children and parents. 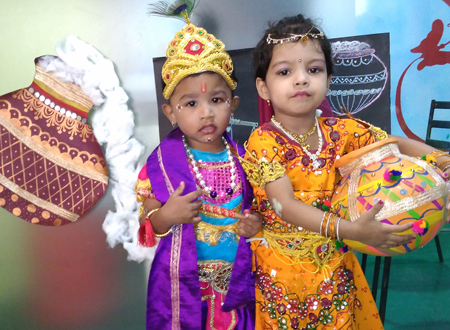 Your child begins His/her school years in secure and positive atmosphere and you are there to see it happen. We allow every child to learn at their own pace and make learn a fun activity. Kids equipped with a positive self task. Little hands and heads at work to make it big. Montessori is a method of education that is based on self-directed activity, hands on learning and collaborative play. In Montessori classrooms children make creative choices in their learning, while the classroom and the highly trained teacher offer age-appropriate activities to guide the process. Dr Maria Montessori discovered that experiential learning in this type of classroom led to a deeper understanding of language, mathematics, science, music, social interaction and much more. Montessori teachers are trained in less-traditional method of education techniques that are supported by in- depth understanding of the developing child. Focused on younger grades. Montessori teachers consider it their mandate to act more like a child's "guides to the world" than a teacher, while roles may vary from school to school. I like the way they give personal attention to each student. They focus on all the aspects which is really appreciated. School is very good . 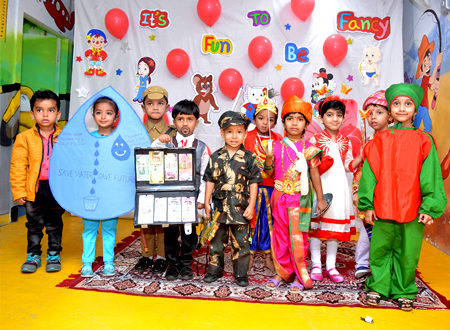 They give personal attention to every child and also the activities are very good . Geet Food Distributor India Pvt. Ltd.